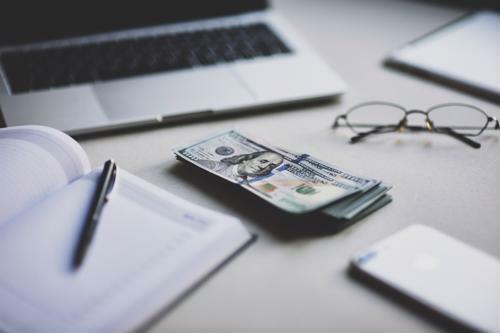 While there are many factors that go into determining what is a reasonable salary for low-paid workers, the need to raise the minimum wage is being recognized in a large and growing number of states across the country. But new research suggests that these legislative approaches to the issue of getting workers to a livable wage are really just undoing years of issues caused by a lack of previous intervention from policymakers. It's no secret that lower-earning Americans take home less pay on an inflation-adjusted basis than they did several decades ago, but the extent to which this is the case may be shocking, according to new research from the Economic Policy Institute. In 1979, the bottom 90 percent of earners took home 58 cents for every dollar of personal income seen in the U.S., and that number declined steadily throughout the 1980s before settling between 51 and 53 cents for most of the early 1990s. But since then, the number has plummeted; since 1998, at least 50 cents of every dollar earned in the U.S. has gone to just the top 10 percent of people in 13 of 18 years (data for 2016 through 2018 was not available in the study), the study found. Most recently, in 2015, the number was at its second-lowest share ever, at just 46.6 cents of every dollar. The study suggests that there has not been enough intervention on the part of lawmakers at the state and federal level to ensure workers are earning their fair share of wages, the report said. In all, if the producers of capital in the U.S. in 2015 had the same share of income they did in 1979, the average household would have earned an additional $10,800 each. The study found, however, that it's not as though politicians have largely passed laws harmful to labor but rather that they have not intervened on behalf of labor to improve business practices so that workers can be assured steady pay, according to a Washington Post report on the study. For instance, by choosing to raise the federal minimum wage only 10 times since 1979 - including just three since the turn of the century - lawmakers have allowed a higher share of every dollar to go to the top 10 percent of earners. This has also been true, to an extent, of government policies related to keeping inflation low rather than ensuring higher employment levels. Much is being made these days of the fact that the economy is now at full employment, meaning companies in many industries have more job openings than the available pool of candidates can fill, according to the Asheville Citizen Times. That means many companies are now starting to be far more competitive when attracting and retaining top talent, which isn't always easy when HR managers describe their efforts as being like a "war for talent." One of the best ways to ensure worker retention and still draw in new hires is by doing what lawmakers have not: striving to provide workers with strong wages and better benefits on an ongoing basis.